Backwoods Music and Studio is proud to announce the release of our first full length studio project. "Ridin' the Runnin' Board" is a CD by the Celtalachian group, Thistle Dew. Recorded entirely in our studio, the official release date was December 13, 2016. Look for a CD release event near you soon! Here are two sample tracks. Go to thistle-dew.com ​to order yours today! Check out our studio upgrades! 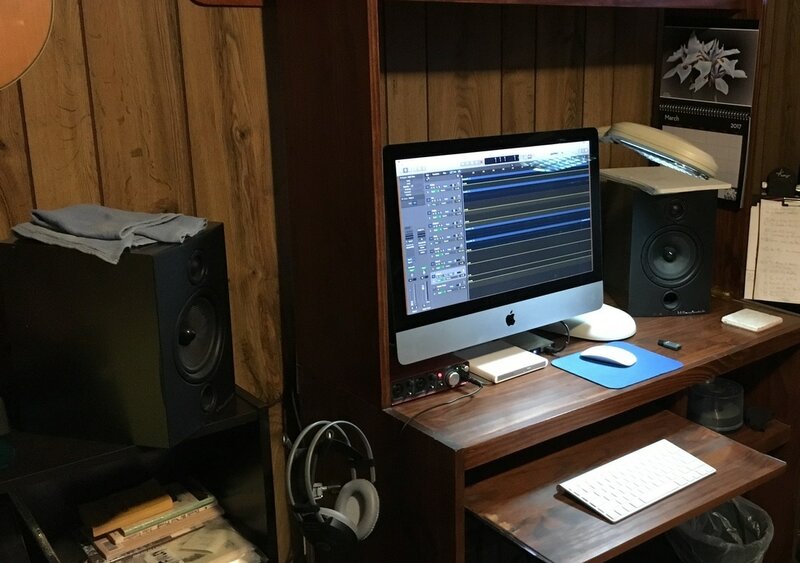 A new 21.5 inch iMac with a 2.9 GHz processor running the latest Logic Pro X digital audio workstation. Stay tuned for more hardware and software additions and upgrades. The MacBook is still available for remote location recording. ​GREAT NEWS! After undergoing a total reverse shoulder replacement in June, I am once again accepting new students of mandolin, guitar, and acoustic and electric bass. Music theory and basic composition are also available to make you a better musician as well as a better player. Email via the "Contact" page on this site or message me on our Facebook page. We are pleased to announce that we now have the capability to master your digital recordings. This includes the ability to EQ and enhance individual tracks as well as create a custom master disc to be used for duplication of discs for distribution. Our goal is to give you complete control over the final product so it is exactly what you imagined it to be when you began. Contact us for more information.